I’m a geek, I’ve setup networking for MRI/CT Scanners, Portable X-Ray machines, CCTV & Door entry systems. As a disabled man, Home Automation opens up a world to me. I have my lights and doors all automated. I got a Smart Plug to enable to operate a fan from the bed. With either Alexa or my phone. 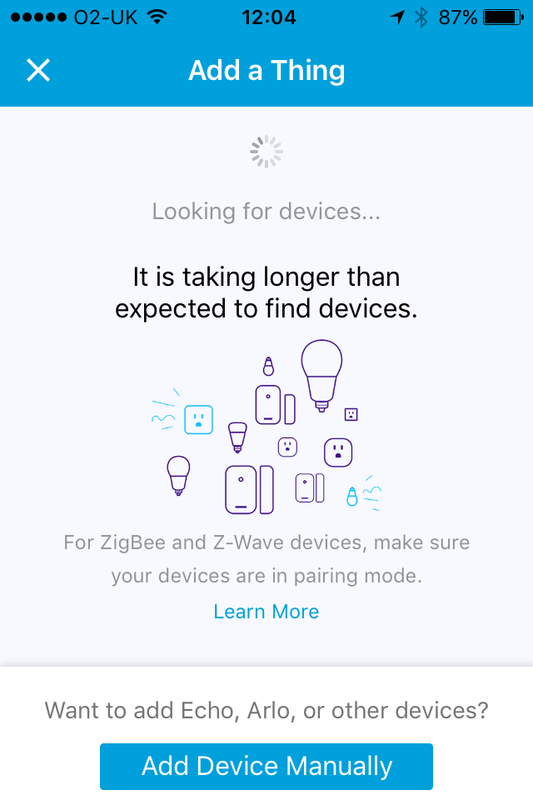 However, Smartthings have decided to concentrate on adding Philips Hue support to their app over making their own stuff work. that displays at about 1pt.